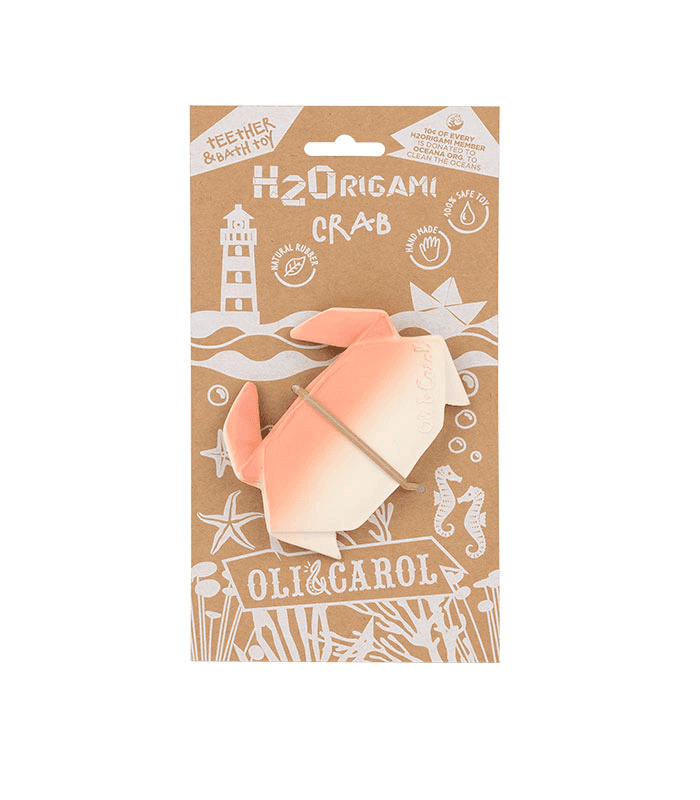 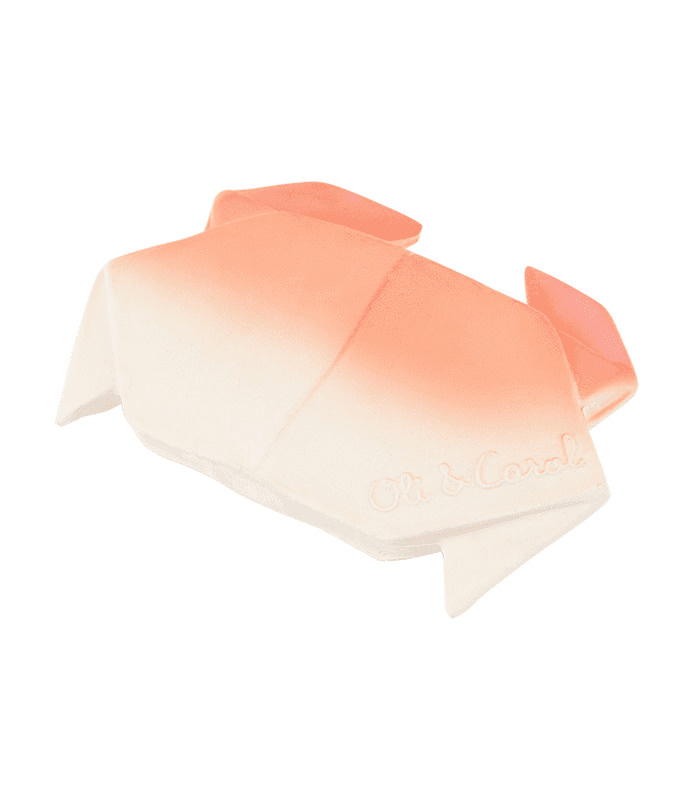 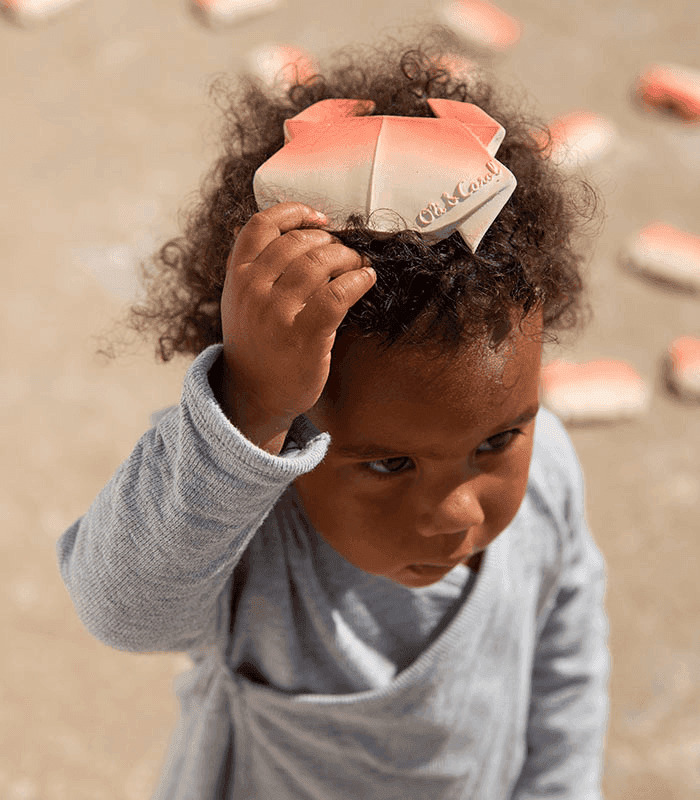 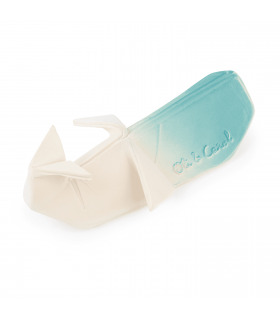 H2Origami, a crab-shaped natural rubber chewable toy for sensory play, teething and bath time. 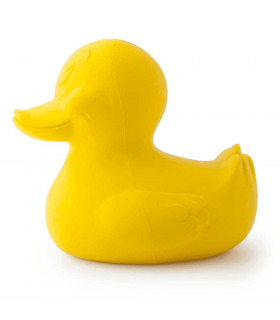 This baby toy is designed to soothes teething gums while transporting little ones to a marine universe during bath time. 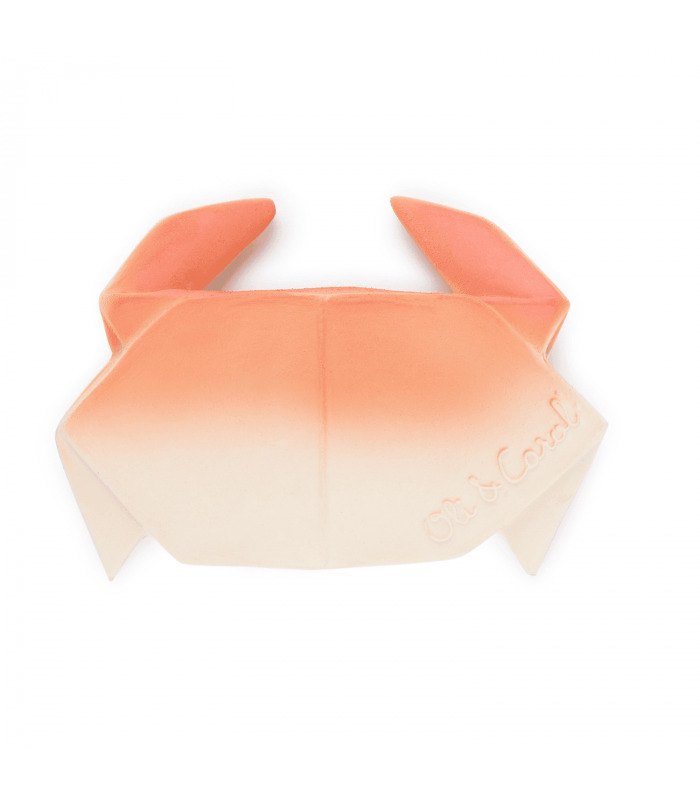 This origami crab stimulates their imagination while raising awareness to respect animals and the ocean. 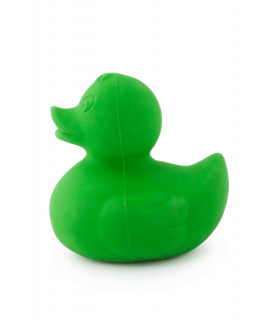 This teether is completely safe, eco-friendly and non-toxic. 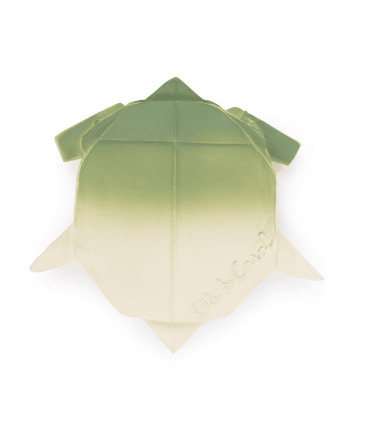 Every purchase of an H2Origami character donates 10¢ to OCEANA Org; dedicated to clean our oceans around the world.